We are one of the renowned names of the industry engaged in offering an excellent range of Shrink Packaging Tunnels to the esteemed clients. 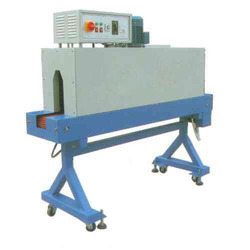 The entire range of machines is manufactured in compliance with the international quality standards. 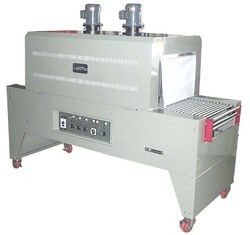 Moreover, we check these machines on certain well-defined standards to gauge their flawlessness, under the able guidance of our team of quality controllers. We are one of the known names of the industry engaged in offering a quality-assured range of Heavy Duty Shrink Tunnels to the esteemed clients. These products are fabricated by employing the most advance facilities available in the market. Moreover, we make sure to deliver the ordered products at the clients premises within the stipulated time frame. Looking for Shrink Packaging Tunnel ?